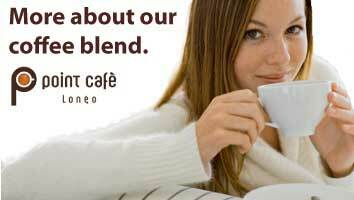 To enjoy perfect coffee you need to know the raw material and appreciate the variety of blends. Coffee is a beverage produced by roasting, grinding and infusing the seeds of some small tropical trees belonging to the genus “Coffea”, which is a member of the “Rubiaceae” family. There are more than 100 types of coffeas, but the most common are the “arabica” coffea and coffea canephora, more commonly known as “robusta”. The main coffee producing countries are located in the hot and humid climate zone between the Tropic of Cancer and the Tropic of Capricorn: that is in Central America, South America, Africa and Asia. The fruits of the coffee are similar to cherries in size and color, with a thin layer of sweet pulp that surrounding the seed. The seed of the Arabica species is oval-shaped, green or green / blue; that of Robusta is rounder and yellow or yellow / brown in color. 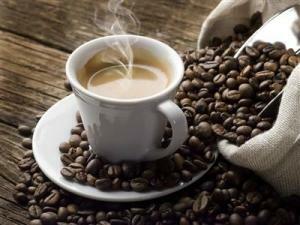 Compared to Arabica, Robusta is more resistant and tolerates higher temperatures and more abundant rainfall. Harvesting the fruits can be performed manually or with automatic machines. Immediately after harvesting, the “cherries” are processed in two ways: “dry” (allowed to dry in the sun for about 20 days or two / three days in special kilns, and then peeled; the coffee thus obtained is called “natural”) or “wet” (washed and picked clean mechanically, left to ferment for 36 hours in water, re-washed, left to dry in the sun and put through peeling machines; coffee thus obtained is called “washed”). Roasting (from the Latin “torridum facere”, meaning “raise to high temperatures”) consists of cooking beans to 200/220° C for a certain period of time. This step is necessary to make them aromatic and crumbly (their weight drops by 20% as a result of dehydration), ready for grinding. In order to obtain best results uses a very traditional roasting process (more than 15 mins). This traditional method enables the release of more aromas because it produces Stucker and Maillard chemical reactions, which cannot be obtained through the shorter roastings (less than 10 mins) widely used by the large coffee roasting firms to produce ground coffees for supermarkets. Grinding is an essential factor for the quality of our cup of coffee: only if it is carried out at the time of use will it guarantee maximum flavor and a successful “espresso” coffee (made on the spot). A perfect granule size should enable the delivery of coffee in about 22-30 seconds, supplying a drink with a volume ranging from 20 to 35 ml. A good espresso is prepared from 7 to 7.5 grams of product.